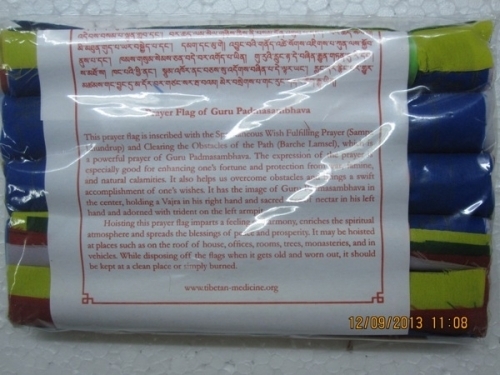 This prayer flag is incribed with the Spontaneous Wish Fulfilling Prayer (SAMPA LHUNDRUP) and clearing the Obstracles of the Path (BARCHE LAMSEL), which is a powerful prayer of Guru Padmasambhava. The expression of the prayer is especially good for enhancing one's fortune and protection from war, famine, and natural calamities. it also helps us overcome obstracles and brings a swift accomplishment of one's wishes.It has the image of Guru Padmasambhava in the centre, holding a Vajra in his right hand and sacred vase of nectar in his left hand and adorned with trident on the left armpit. 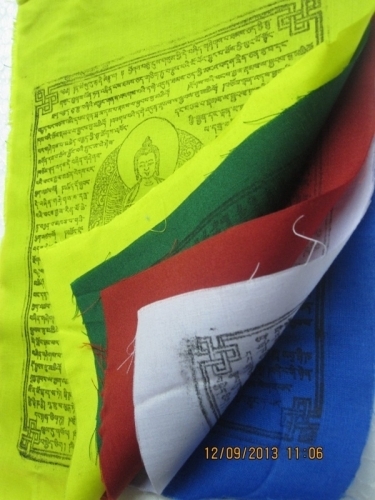 Hoisting this prayer flag imparts a feeling of harmony, enriches the spiritual atmosphere and spreads the blessings of pease and prosperity. 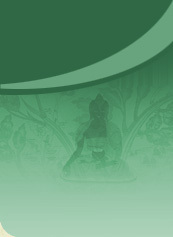 It may be hoisted at places such as on the roof of house, offices, rooms, trees, monasteries, and in vehicles. While disposing off the flags when it gets old worn out, it should be kept at a clean place or simply burned.